5th Annual Johnny V Toy Run 2010. Benefit for the San Francisco Firefighter Local 798 Toy Program. 65' Ladder Raise Tribute. 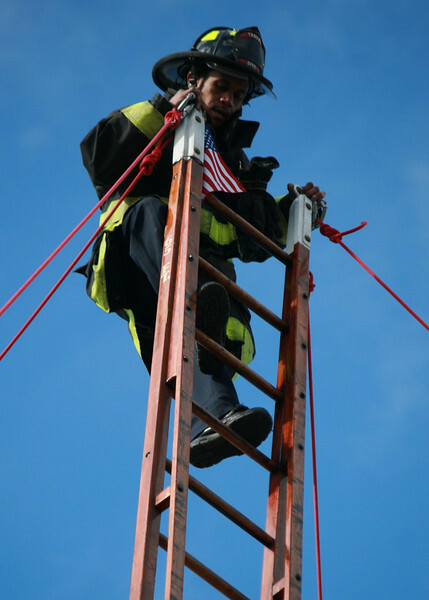 SFFD FF Bomani climbs to the top in Tribute to Johnny V & Greg Wyman.